These are the words spoken by Cpl. Roy Paul Manring Jr., one of the four survivors of the Hill 303 massacre when he testified in front of a congressional committee about atrocities during the Korean War. 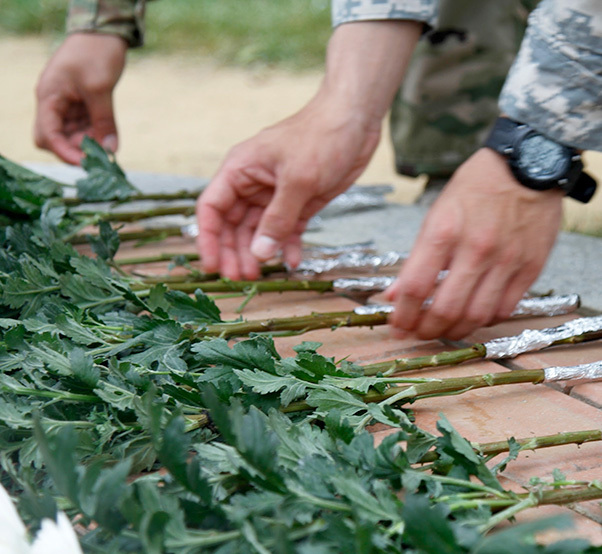 The 6th Ordnance Battalion hosted a Hill 303 Wreath Laying and Memorial Ceremony, June 30, 2016, at the Hill 303 monument near Camp Carroll in Waegwan to honor the sacrifice made by these young men. Soldiers hiked up the steep hill early in the morning. 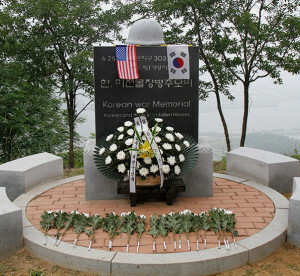 When they reached the top of the hill the Soldiers together with the Korea Veterans Association and local students laid a wreath and flowers on the memorial. 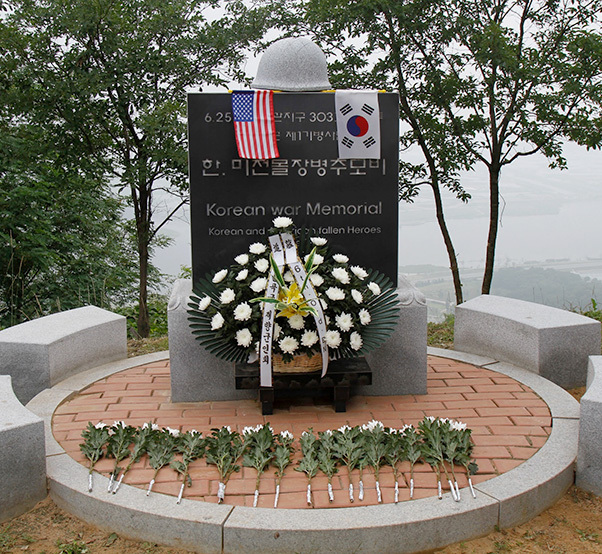 Hill 303 was a major battle site during the Korean War where the U.S. 1st Cavalry Division successfully defended Waegwan during the battle. Forty-one captured U.S. Army Prisoners of War were killed by North Korean soldiers. According to the official report, on Aug. 14, 1950, a group of 26 American Soldiers was surprised and captured by North Koreans whom the Americans had reason to believe were reinforcements. 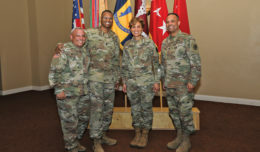 The men were stripped of their combat boots and personal belongings and their hands were tied behind their backs. The second day after capture, several other American prisoners joined their group, bringing the total number to 45. On the third day, all of the prisoners were led to a ravine, and without warning, while their hands were tied, were shot in cold blood. 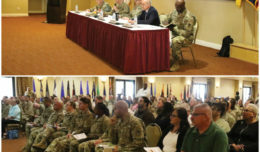 In the afternoon, members of 6th Ordnance Company, Korean War Veterans, U.S. Army Garrison Daegu, elected officials and local students gathered to pay respects. The 6th Ordnance Battalion has been hosting memorial services on Hill 303 since 2002 in order to honor the memory of those who died.